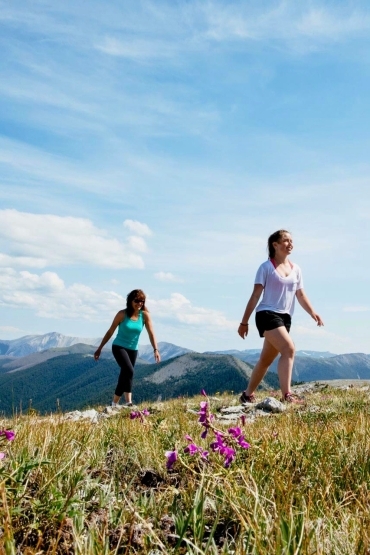 Our special offers feature great rates for privately guided adventure experiences in the wilds of Canada — family summer adventures, romantic escapes, horse riding, fishing getaways, honeymoons and vibrant multi-generation gatherings. They are time-sensitive offers with limited space and availability at our boutique luxury wilderness resort, so book now! *These are in-house special promotions only, available for specified time frames and are subject to change. For those who want to try a taste of Siwash, this is the package for you. 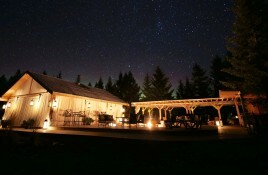 We've designed a special 3 night stay to help you unwind, luxuriate, and enjoy the remote BC wilderness. With the Siwash Sampler you can do as much or as little as you please at our backcountry hideaway, enjoying alfresco fine dining, authentic ranch accommodation, and leisurely pursuits in Nature. What’s included: Accommodation, meals, beverages, alcohol, one privately guided activity (your choice of fishing, riding, or waterfall fire-ecology hike™), self-guided activities, and all equipment for activities. Bring your family for a captivating adventure amid the Siwash wilds this summer! We focus on providing families with action-packed, fun-filled, and interactive holidays. We built and now run Siwash as a family, so we understand the importance of togetherness. There is nothing more precious than sharing quality time with your loved ones. Our transformational travel experiences are designed to teach your children about our local history and culture, while allowing them to hone their curiosity and explore in new ways. In these uncertain times, Siwash offers a safe haven for families, far from the madding crowd. An exciting natural environment and a myriad of immersive outdoor activities make for the perfect adventure playground! 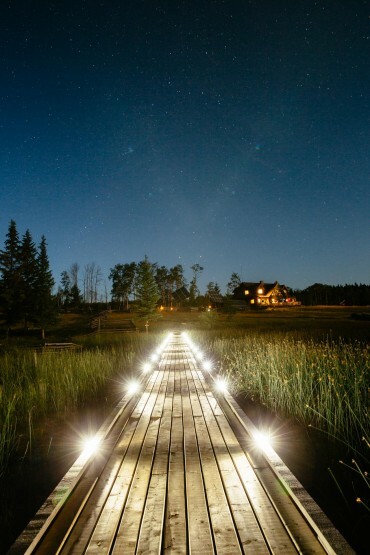 What’s included: All-inclusive Eco-Adventure Package covering accommodation, meals, beverages, alcohol, custom daily itineraries, two privately guided activities per day, self-guided activities, all equipment for activities, and one night at the Siwash Star Camp™ (available mid-summer). There is no better place to connect with your loved one than in the secluded Siwash wilderness. Come share gourmet cuisine, stunning panoramic views, magical accommodations, and exciting activities with your partner. Our lovingly tailored, ultra private and exclusive holidays will certainly rekindle those flames. What’s included: All-inclusive Eco-Adventure Package covering accommodation, meals, beverages, alcohol, custom daily itineraries, two privately guided activities per day, self guided activities, all equipment for activities, one night at the Siwash Star Camp™ with a private alfresco dinner, and two complimentary massages. Escape the rest of the world with a trip to this angler's paradise. Feel the excitement of 2-10lb rainbow trout on your line in the fresh water lakes and rivers surrounding Siwash. Remote and pristine, the home lake provides both the perfect habitat for trout and a refreshing oasis of wilderness solitude for the fisherman. After just one privately guided fly-fishing session, you have the freedom to catch-and-release from dawn until dusk. What’s included: Accommodation, meals, beverages, alcohol, one privately guided session on Siwash lake, unlimited self-guided fishing, self guided activities, and all equipment for activities. Our honeymoon package has been taken to a newfound high! Step out of your 'normal' and into our privately-piloted ranch helicopter for a safari above the Fraser River and the Marble Mountains. Then enjoy exclusive use of our luxury Siwash Star Camp™ — equipped with a lavish canvas tent, a cedar soak hot tub, a dining gazebo, luxe star gazing beds, a star gazing telescope, and a campfire seating area. Additionally, this honeymoon features a full week of compelling outdoor adventures that will appeal to any dynamic duo. What’s included: All-inclusive Eco-Adventure Package covering accommodation, meals, beverages, alcohol, custom daily itineraries, two privately guided activities per day, self guided activities, all equipment for activities, one night at the Siwash Star Camp™ with a private alfresco dinner, a private half-day Fraser River Canyon helicopter safari, and two complimentary massages. Experience all that SiwashSynergy with Horses™ has to offer in our 4 or 7 night itinerary. This program is immersive, comprehensive, and hands on; allowing guests to take their horsemanship skills to new heights within the duration of their stay. An initial half-day orientation covering groundwork, grooming, saddling and riding — supplemented by impromptu riding lessons on the trails — will get you off to a great start. Several private sessions to follow will ensure you master the key skills of Western Horsemanship. Freedom to ride on your own for those with proven ability during 7 night stays. 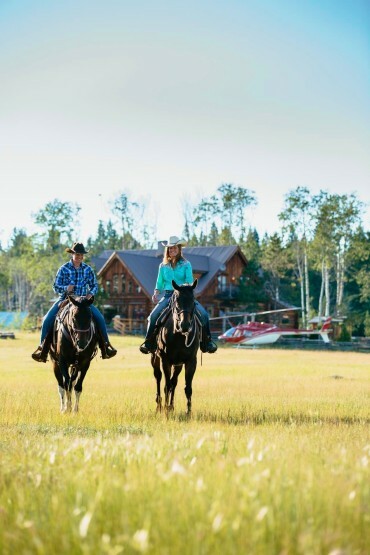 What’s included: Accommodation, meals, beverages, alcohol, daily privately guided horse program, one private riding lesson, one arena games session, one extended groundwork lesson, one private round penning demonstration, trail riding, self-guided activities, and all equipment for activities. Embark on an ultra private adventure with your family for a reunion, a significant birthday, a special trip — you name it! Enjoy exclusive use of the resort with daily custom tailored itineraries featuring our full realm of adventures and activities. We will cater to your exact needs throughout the stay. Groups of up to 15 people are welcome. What’s included: Exclusive use of the resort with the all-inclusive Eco-Adventure Package covering accommodation, meals, beverages, alcohol, custom daily itineraries, daily guided adventures, self guided activities, all equipment for activities, and one night at the Siwash Star Camp™.